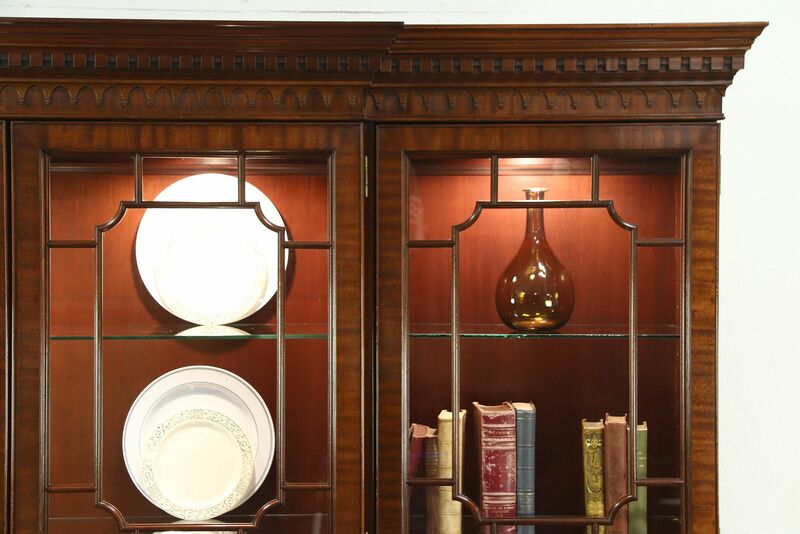 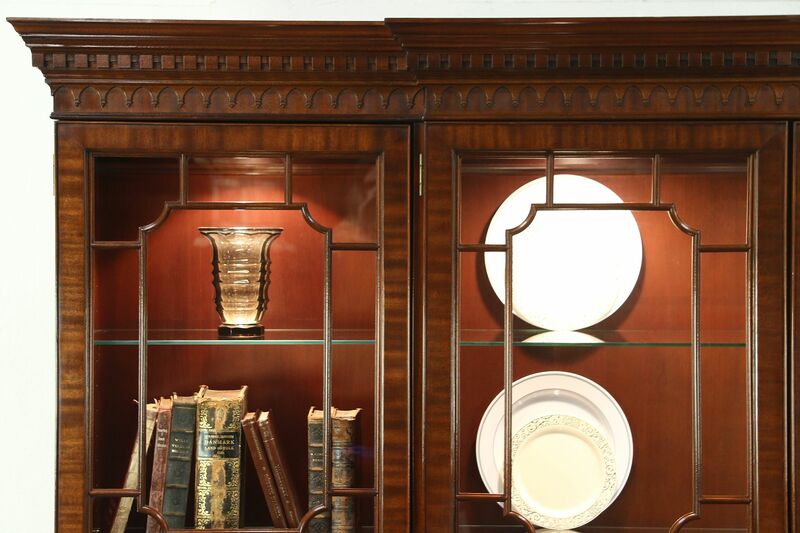 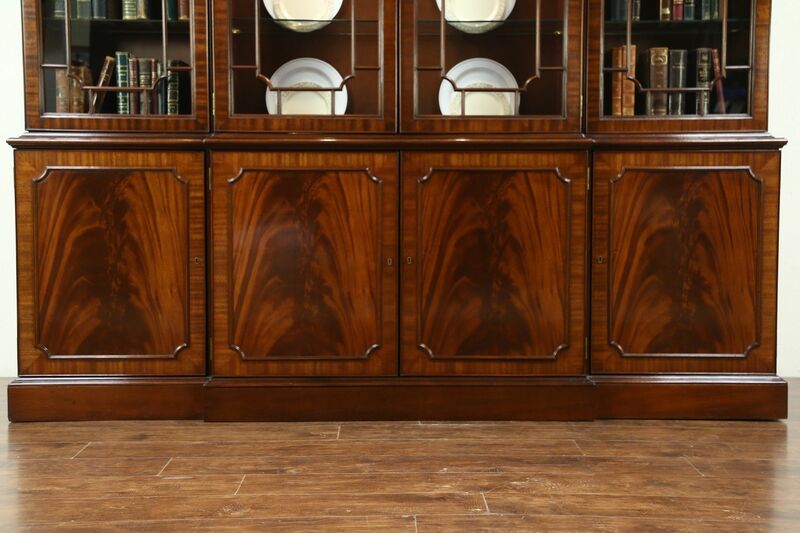 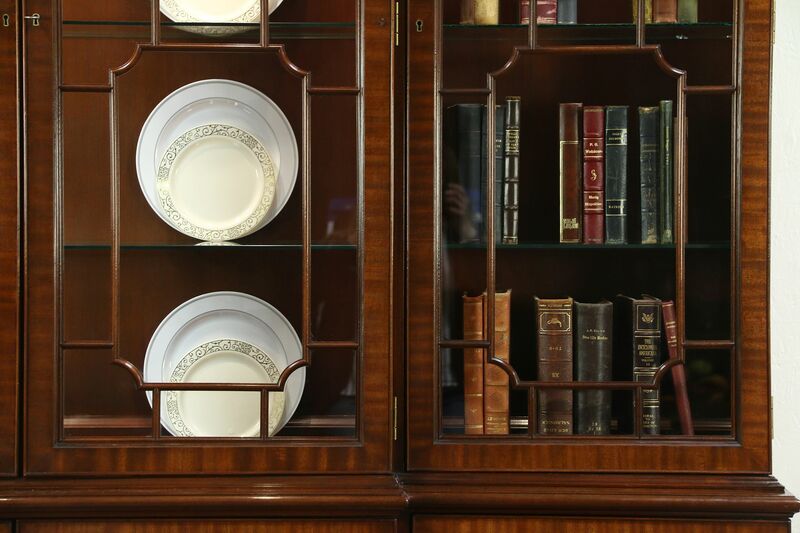 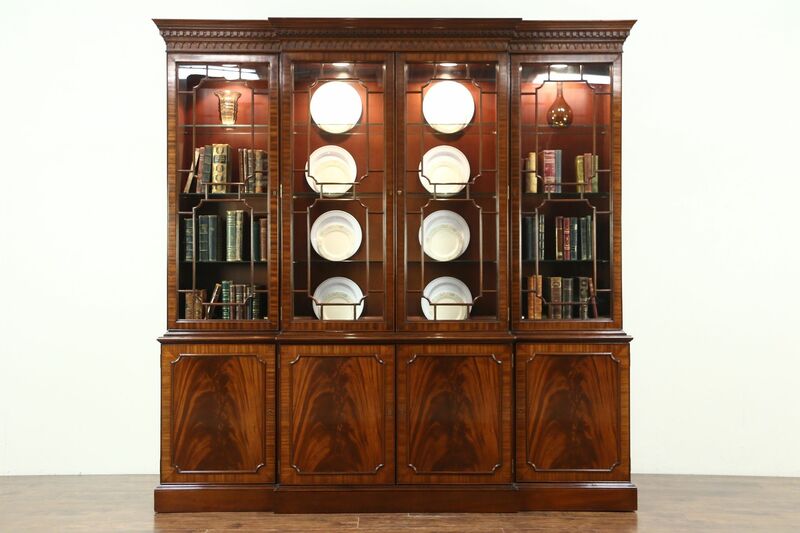 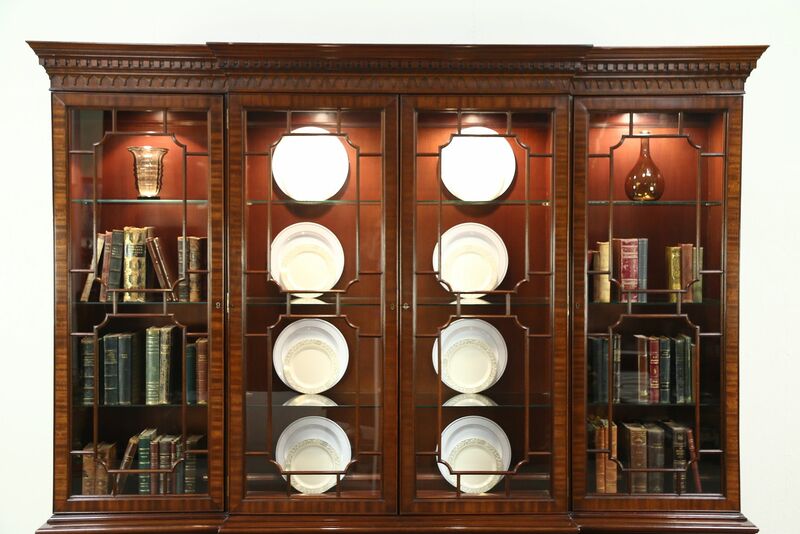 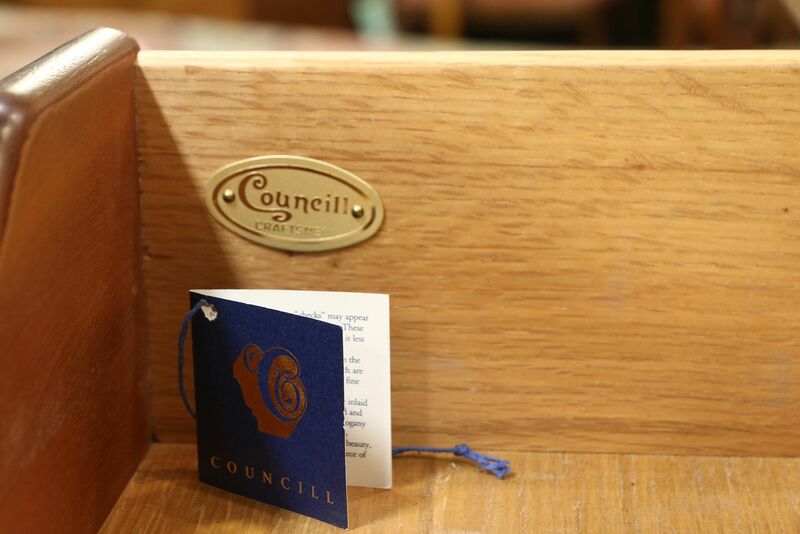 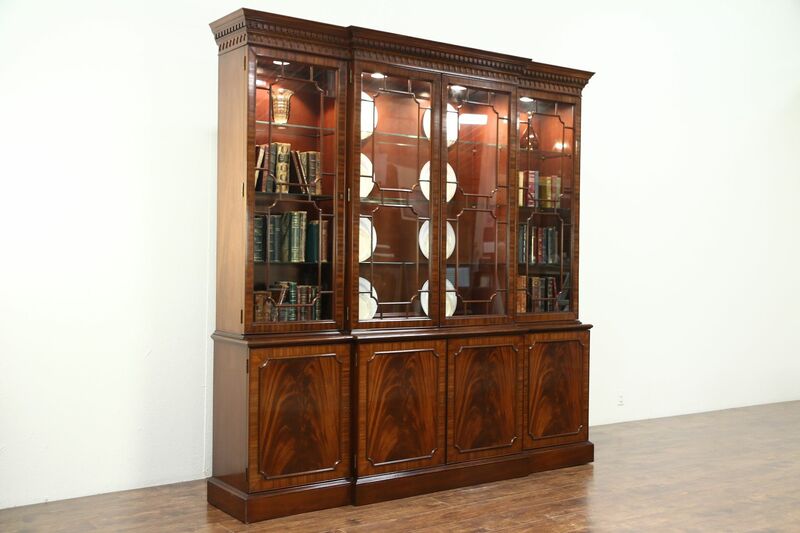 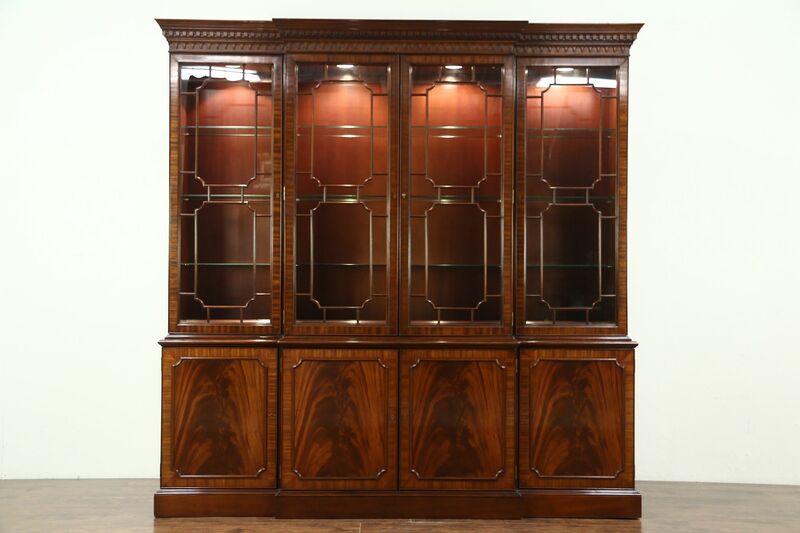 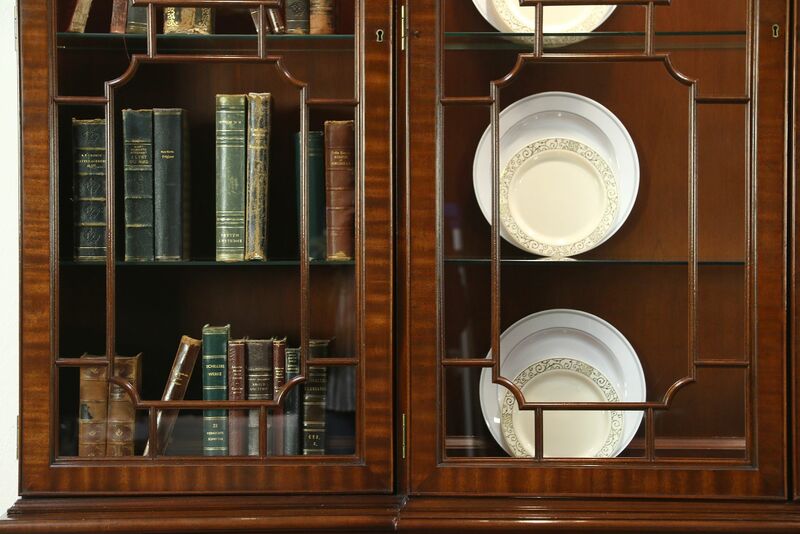 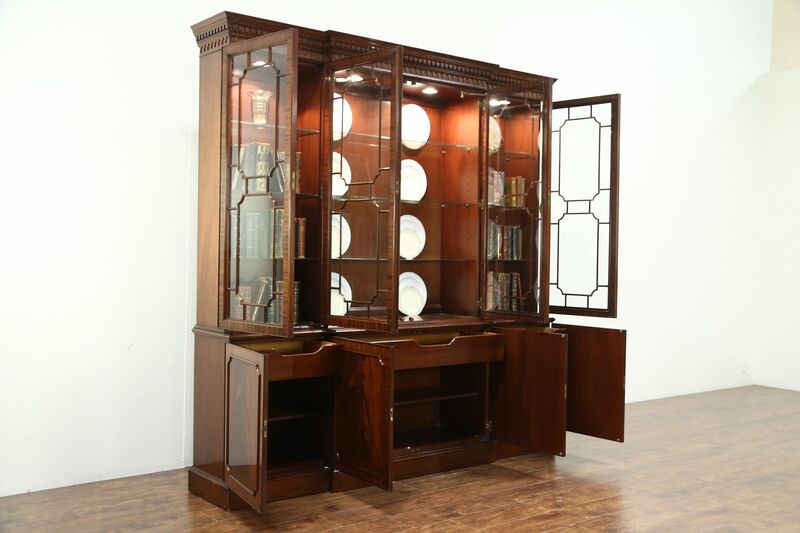 A large breakfront china cabinet or bookcase in the Georgian manner was signed by luxury maker, "Councill." 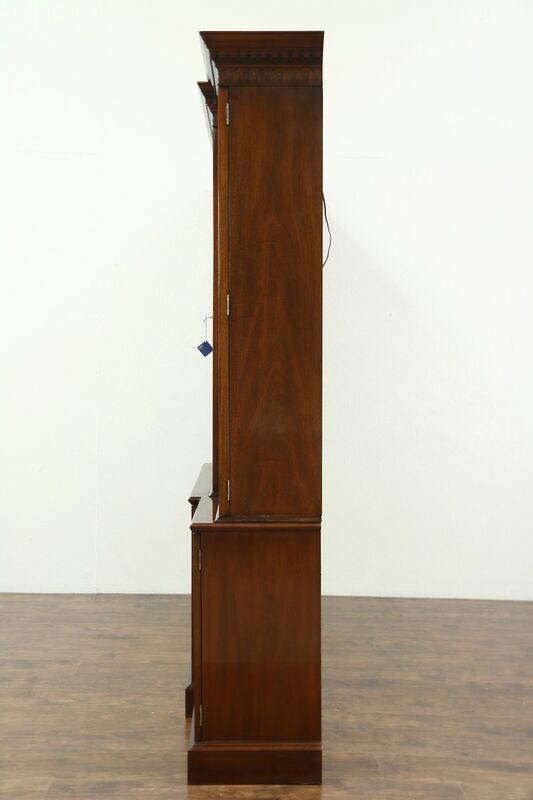 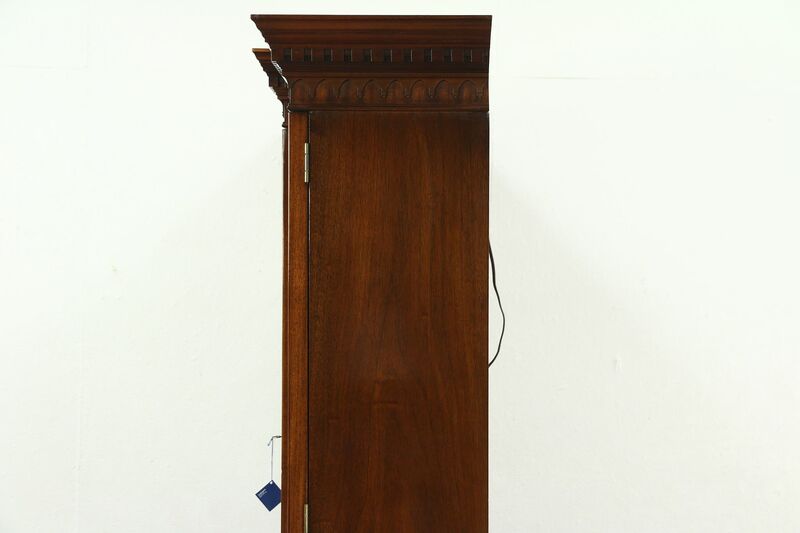 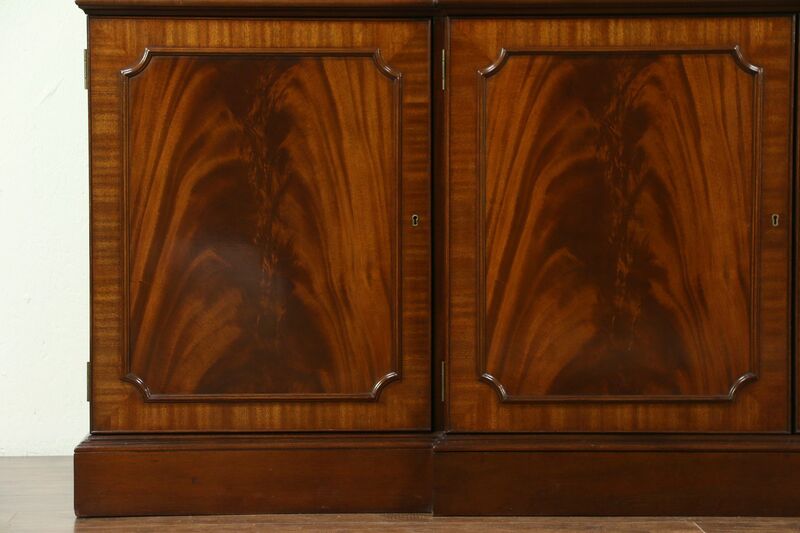 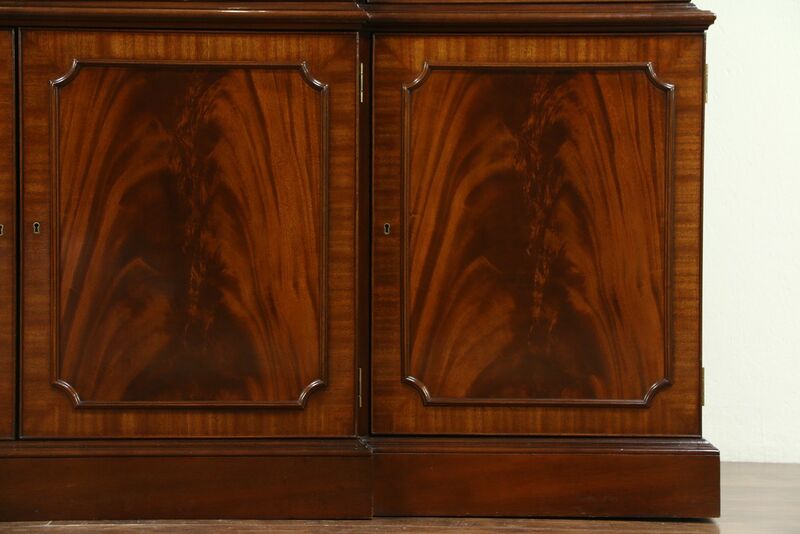 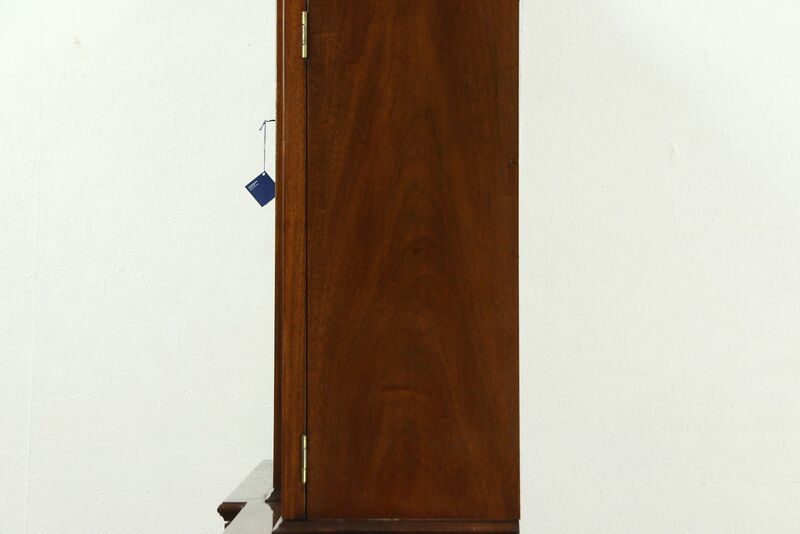 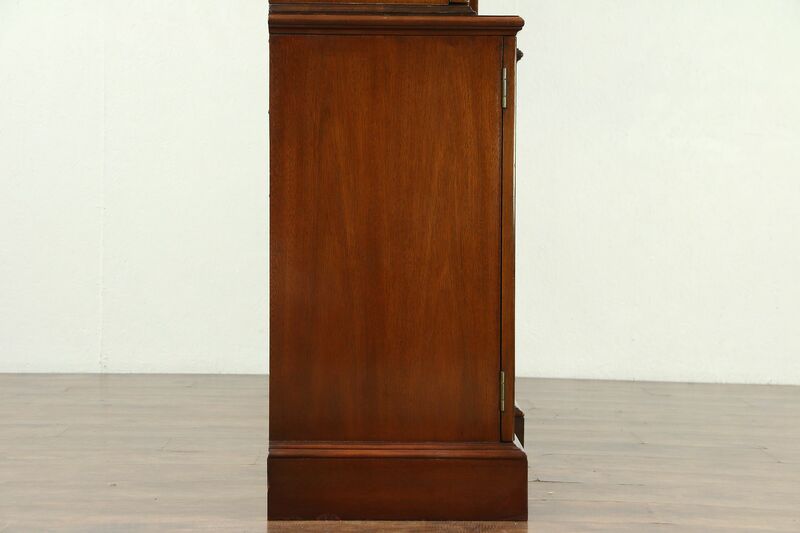 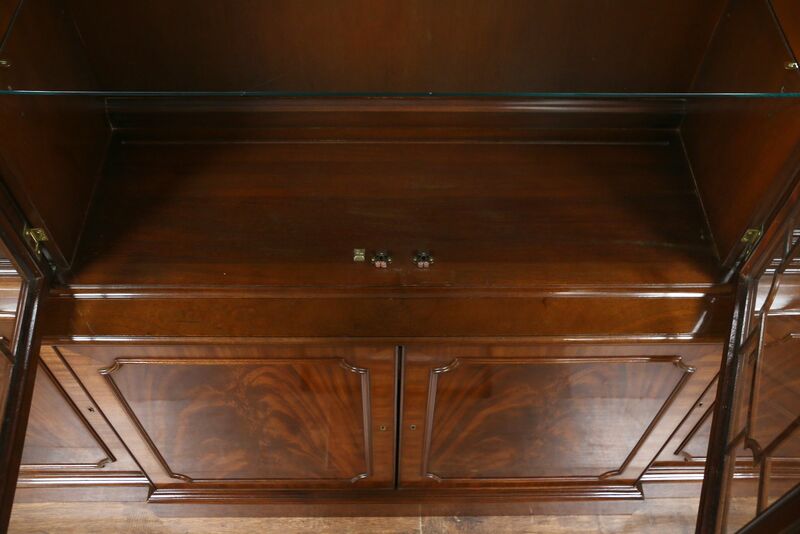 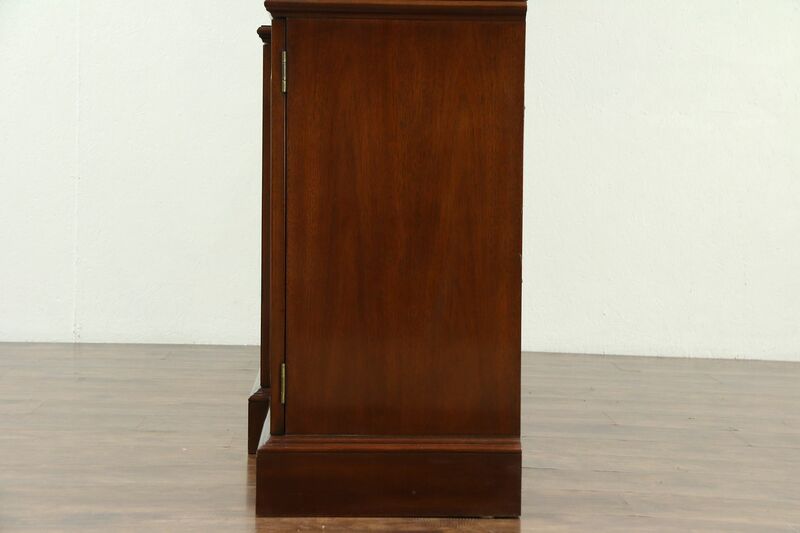 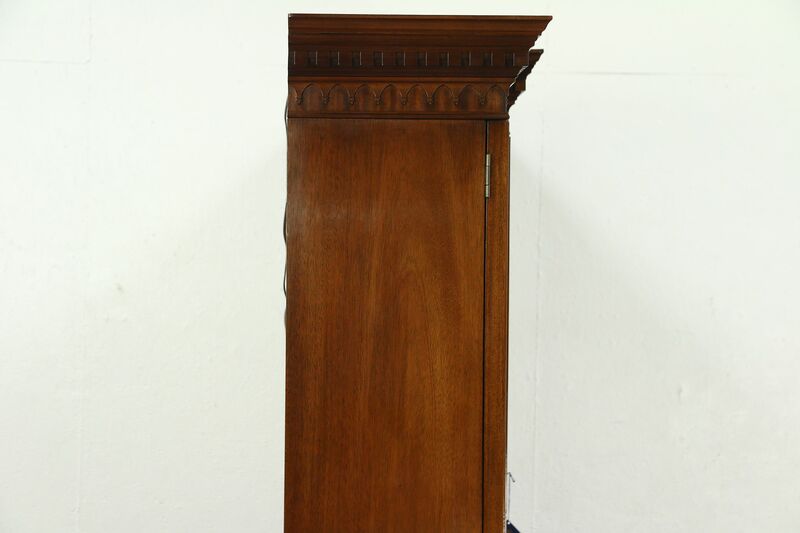 Mahogany with banding around dramatic flame grain panels, this large cabinet is all original from about 25 years ago. 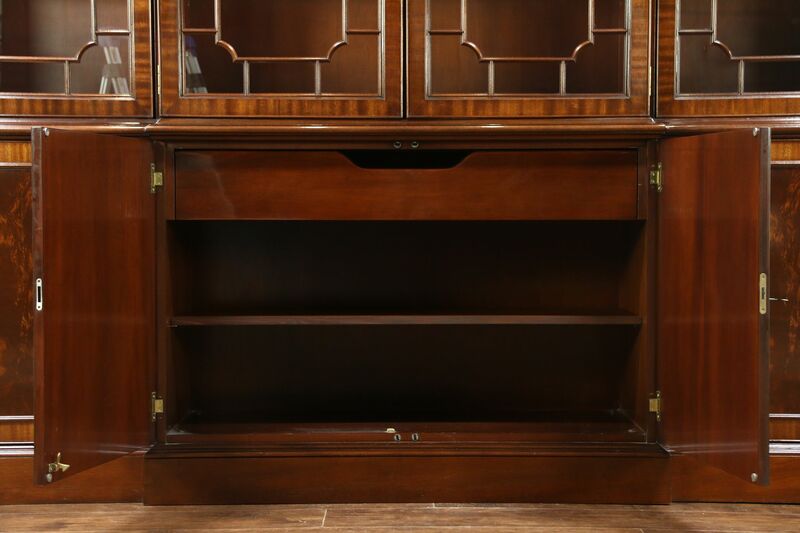 Glass shelves are adjustable, two of the side shelves have plate grooves, the others do not. 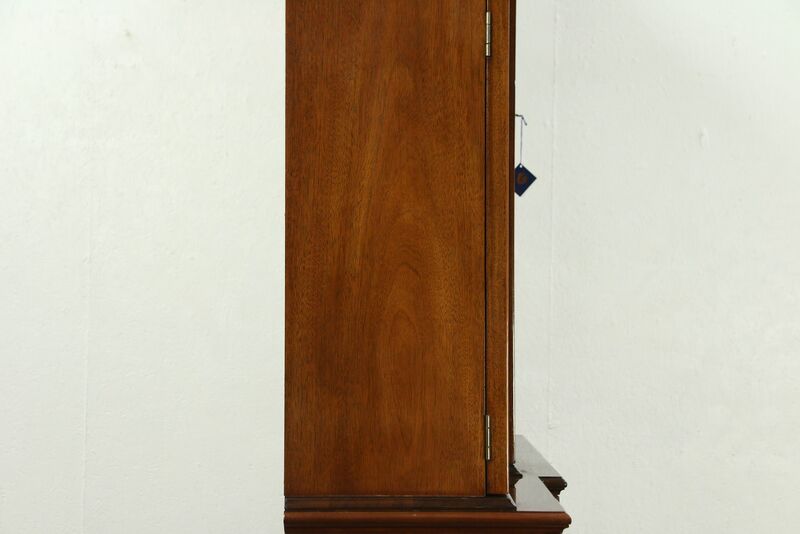 The polished factory finish is in excellent condition with minor touchups. 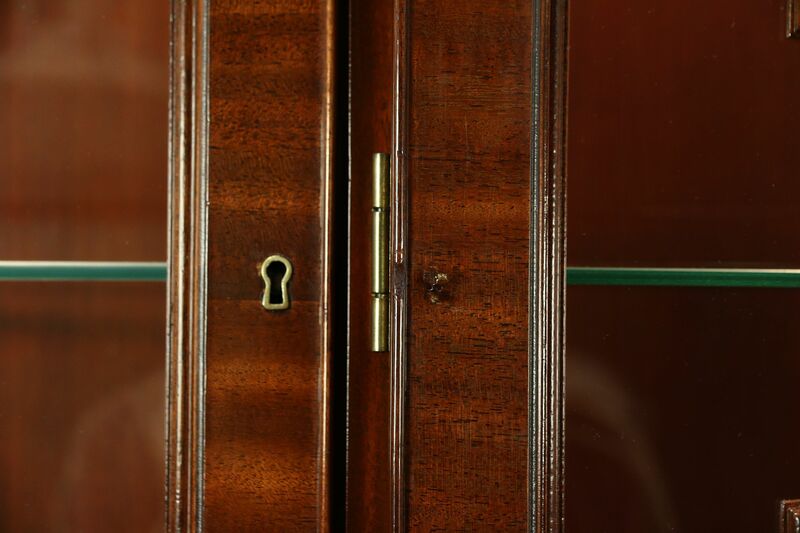 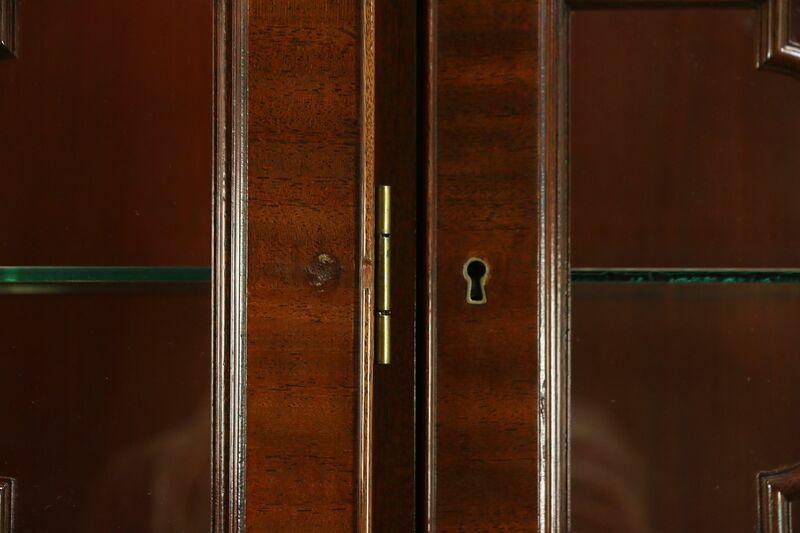 Grillwork on the doors is authentic, a key operates the locks. 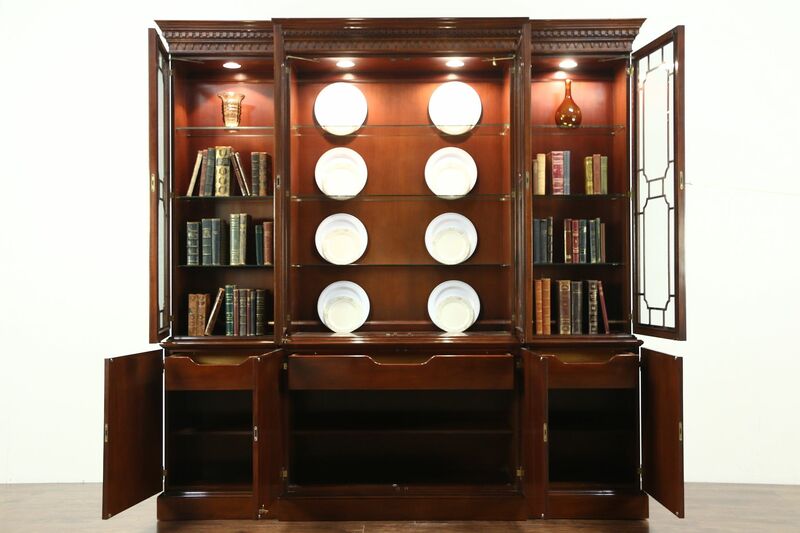 The upper section is lighted and removable for easier delivery. 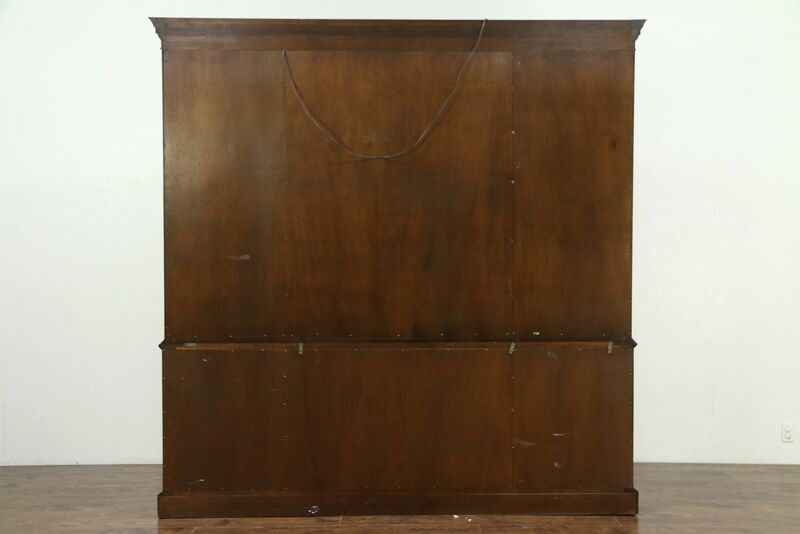 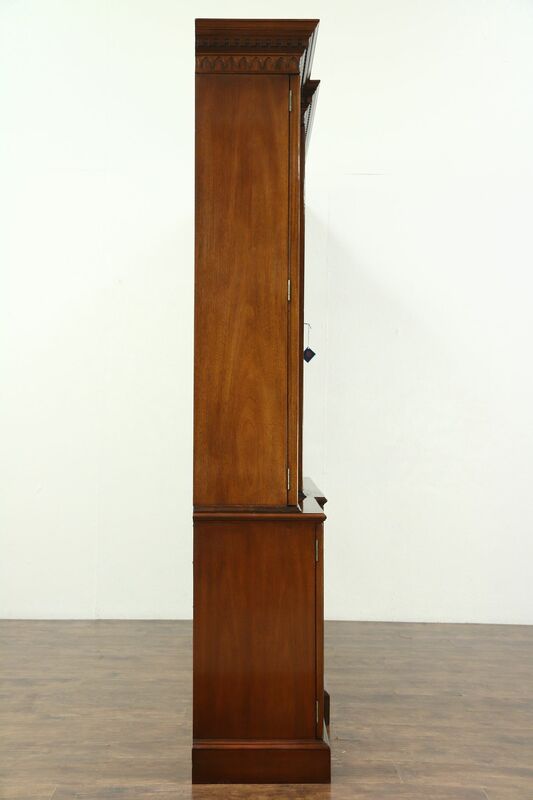 Measurements are 91" wide, 18" deep and 92" tall.